Merry Christmas! This year, we will be spending time with our family, hugging our children close and thanking God for each and every one. 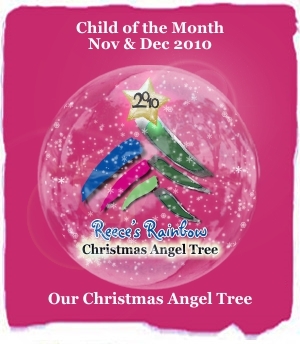 We will also be remembering some children, blessed with “little extras,” who will not be held or loved this Christmas. In many countries, children with Down syndrome and other disabilities are placed in orphanages from birth. Their parents do not want them, but know that there are American and Canadian families that do. So, into the orphanages they go. However, if a child is not adopted by age 3 or 4, they are considered unadoptable, and placed in an institution for the mentally disabled. Most children will die within the first year of being institutionalized. 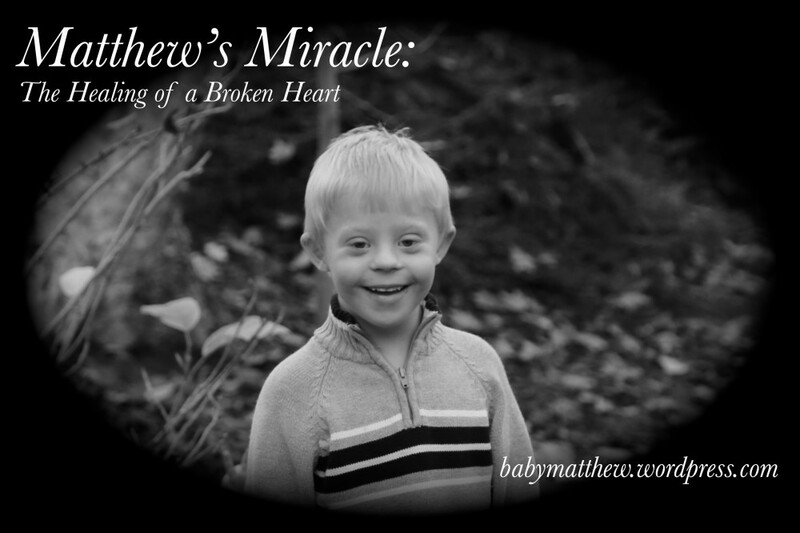 While there are many families willing and wanting to adopt a child with Down syndrome, the cost can be extraordinary. The governments of Eastern Europe see these children as a “cash cow,” and love to charge exorbitant fees for their adoption. That is why we support Reece’s Rainbow – an organization that not only raises grants for the adoption of kids with Down syndrome, but also works in these countries to educate parents and families, working to end the practice of giving the children over to state orphanages and institutions. As a gift to some of our family members this year, we have helped sponsor the adoption of a child with Down syndrome. Jesse did really well with his ear tube procedure. He cried for quite awhile after the surgery while he was coming out of anesthesia, but after a good snack and a good nap, he was back to normal. The doctor said he had quite a bit of fluid behind both ear drums, so it’s a very good thing we had the procedure done. For the last couple days, he has had a lot of drainage from both ears, so we can tell the tubes are doing their job. In a couple weeks, Jesse will be feeling and hearing better than ever. Speaking of hearing …. Matthew’s hearing test on Tuesday was still “equivocal,” meaning the doctors still can’t really tell us how well he hears. He will go in for a specialized hearing test in January, where the doctors give him enough anesthesia to go to sleep, then measure his brain wave response to sound. It’s the only way to be sure he is hearing well, although I dread more anesthesia for our little guy. Thanks for the prayers, everyone! And, Merry Christmas! 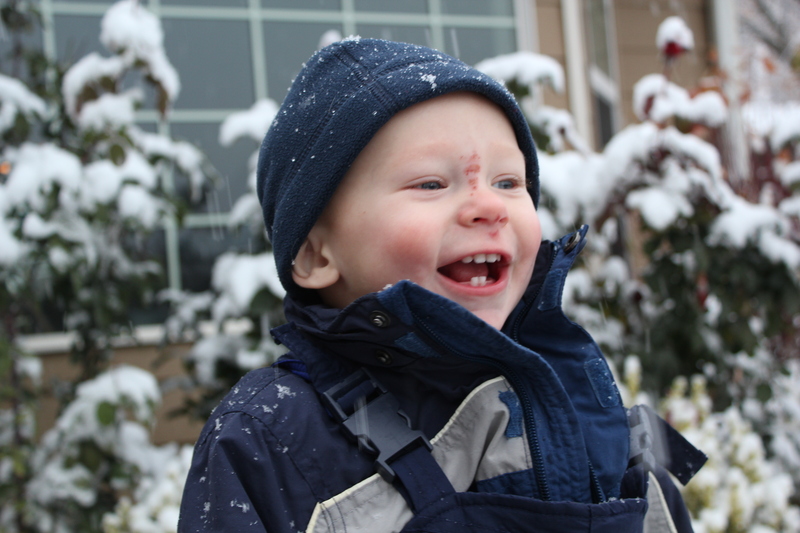 This little guy is getting tubes in his ears tomorrow morning. Repeated ear infections and constant fluid behind his ears have caused him a lot of pain, and probably some hearing loss. It will be good to have the problem taken care of. Oh my – has it really been a month and a half since I posted? Where did November and December go?